Imagine walking into your first class of the fall semester, and your professor explains that you and your classmates will jump right into the work of creating a public-relations (PR) plan for a real nonprofit organization. That’s exactly what happened to David Deemer and Stefani Leeper1 when they walked into Patricia Max-well’s Fall 2015 public-relations principles class. 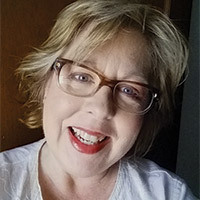 A new professor at Union College in Lincoln, Nebraska, Maxwell teaches several communication and social-media classes in which she endeavors to teach her students by giving them not just theoretical but also practical knowledge. She has spent many years as a public-relations professional, most recently as director of marketing and communication technologies for Catalina Island Conservancy in Long Beach, California. 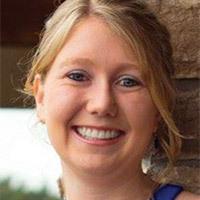 In the summer, as she prepared for her classes, she began making connections with nonprofit organizations around Lincoln, including Constru Casa, Lincoln Interfaith Coalition, Lincoln Peacemakers, and Domesti-PUPS, and many were open to allowing students to help them develop a public-relations plan. The first year, students were appointed to teams based on their self-identification of skills and interests. The second year, job descriptions were provided, and the team leaders selected those students with the skills and interests they needed for the project. Instructors can monitor this selection process to ensure each student is part of a team. David Deemer, a senior biomedical science major, teamed up with Roxi Peterson, Michael Brautigan, and Kristi Tucker to work with Constru Casa, a nonprofit that builds homes for impoverished families in Guate-mala. They set out to increase awareness among older audiences who might be interested in supporting their efforts. To build awareness, Deemer and his group submitted an article for publication in Nebraska Magazine (The University of Nebraska’s alumni magazine) featuring CEO Jim Pittenger and University of Nebraska Lincoln graduate student Kye Kurkowski. Stefani Leeper teamed up with Anthony Gann and Rachel Lozano to work with Domesti-PUPS, a nonprofit that organizes community services with service and therapy dogs. This team grew the organization’s Twitter audience and edited a promotional brochure. “I feel my team contributed by helping the owner of Domesti-PUPS realize that the business needs a larger social-media outreach, which can be easily accomplished by simply hiring a business or communications student as an intern,” Leeper explained. Her favorite part of the class included the final presentation, not because it signaled the end of the semester but because the students were to dress professionally and present themselves as business people as they presented the work they had done throughout the semester. One of the author’s PR teams worked to promote a local nonprofit organization called Domesti-Pups. The team helped revise a promotional brochure and promoted several awareness and fundraising events for the organization. Left to right: Rachel Lozano, Anthony Gann, and Stephanie Leeper. According to Maxwell, each team made a lasting impact on the organization they served. “Every organization reported that the quality of work by Union College students in this class was excellent,” she said. “The most immediate and obvious effect of the work by the Union College students was to get an article published in the University of Nebraska alumni magazine, which reached a wide audience. We are certainly hopeful that it will generate significant interest in Constru Casa,” said John Lothrop of that organization. Both students were thankful for the chance to pursue a real public-relations challenge. “Patience and communication are the keys to life and success in this class,” said Leeper. 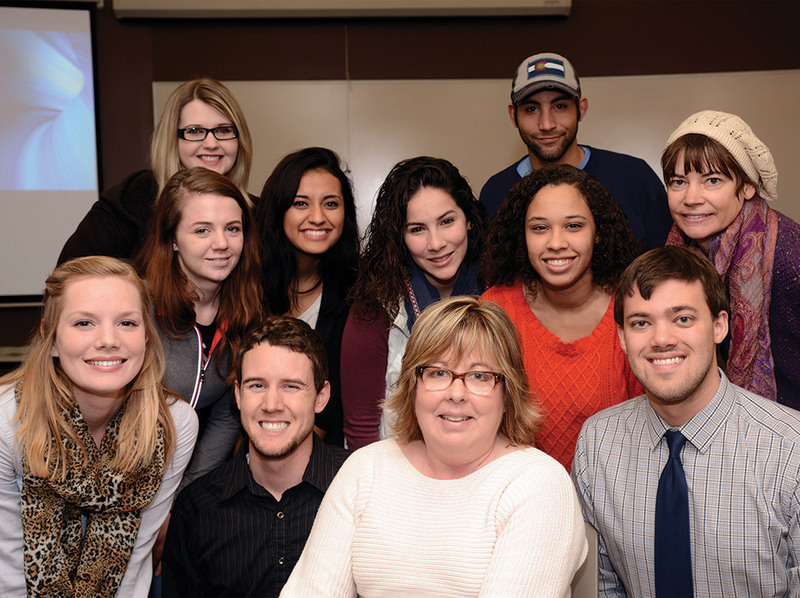 Members of Patricia Maxwell’s Fall 2015 PR class pause for a group photo. Front row, left to right: Roxi Peterson, Michael Brautigan, Professor Maxwell, and David Deemer. Second row, left to right: Kristi Tucker, Rachel Lozano, Helen Maijub, Aria Bodden, and Misha Darcy. Third row, left to right: Stephanie Leeper and Anthony Gann. Have they worked with and mentored students in this age range before? What are the expectations of the organization? Do these expectations align with course goals and outcomes? 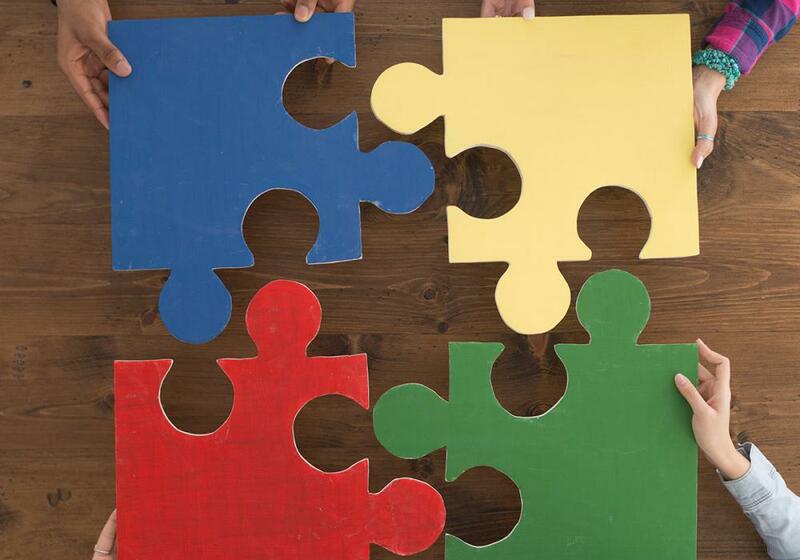 Teacher Tip 2: Let teams form organically. 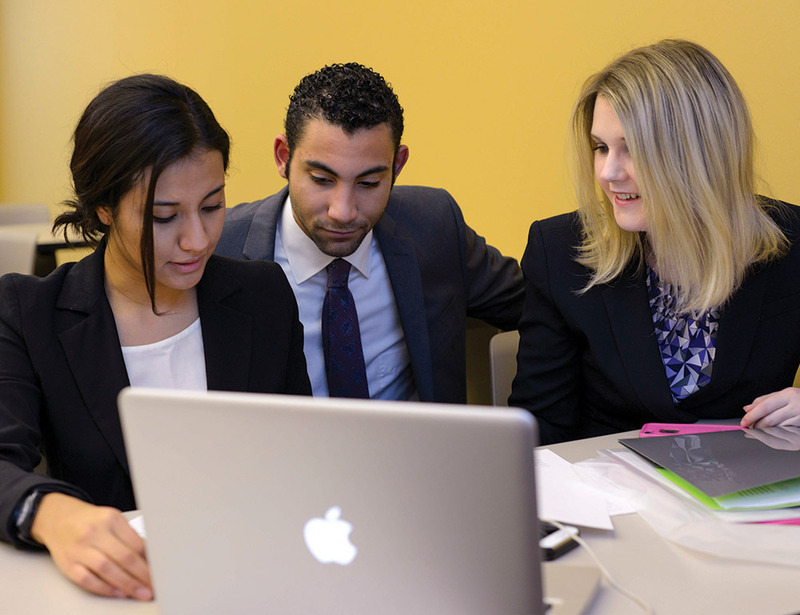 The first year, students were appointed to teams based on their self-identification of skills and interests. The second year, job descriptions were provided, and the team leaders selected those students with the skills and interests they needed for the project. Instructors can monitor this selection process to ensure each student is part of a team. Also, let students select the organization that they want to work with from a list of possible projects. Campus Compact has a variety of resources that can help in course preparation (http://com pact.org/resource-posts/), as well as general guidance on how to build effective community-academic/university partnerships (http://com pact.org/resource-posts/how-to-do-well-community-academicuniversity-partnerships/). Teacher Tip 3: Use frequent evaluations. Self, peer, and supervisor evaluations are essential to the workplace, and learning how to participate in this process is a work-related skill. One common approach is the 360 evaluation process.2 Students evaluate their teammates at three different times during the semester, receive evaluation feedback from the nonprofit partners, and also complete self-evaluations. Encourage students to talk about performance-related issues with one another in a productive and positive manner. The experience builds communication skills they need to work in teams on the job. Teacher Tip 4: Request feedback from organizations. Ask for feedback from participating organizations at least twice during the semester. Work with partnering organizations to create feedback forms that will meet the needs of both entities—the class and the organization. At the completion of the project, invite the partnering organizations to provide students with a formal endorsement of the work completed. Teacher Tip 5: Grades reflect performance, just like in a job. Each individual’s grade is made up by the evaluations provided by peers who worked on the project plus the total grade assigned to the team by the class, organization, and teacher, then divided by 2. This keeps the grade “fair” for those who are carrying the bulk of the teamwork and encourages all of the team members to contribute to the work equally. Teacher Tip 6: Network constantly. This might be easier said than done, depending on your personality, but use every opportunity to meet leaders of businesses and nonprofits, as well as city administrators to tell them about your program and to ask them whether they’d like to participate. For example, one organization created an internship after I (PJM) talked about the talents and skills my students could bring to their mission. Megan Wehling, BA, completed her bachelor’s in English at Union College, Lincoln, Nebraska, United States, in May 2016. Her ultimate career goal is to write and edit. This article is adapted from “PR Class Provides Services for Local Nonprofit Organization” originally published in the Mid-American Union Outlook 37:6 (June 2016): 24, 25. Used with permission. Patricia J. Maxwell, MBA, is Assistant Professor of Communication at Union College. She has more than 20 years of industry experience in marketing and communication for nonprofit organizations and institutions of higher education. Instructors, students, and partners can use the information provided by 360 evaluations to gauge how well the project is progressing and what changes might need to be made. See Harriet Edleson, “Do 360 Evaluations Work?” Monitor on Psychology 43:10 (November 2012): 58: https://www.apa.org/--- monitor/2012/11/360-evaluations.aspx.